Designation: Researcher at University of Insubria, Italy. Biography: Elena Rosini graduated with honor in Biological Sciences at University of Insubria in 2001. In 2007 she gained the Ph.D. in Biotechnology from University of Insubria (title of thesis: “Protein engineering of D-amino acid oxidase: design of new activities for industrial and medical applications”). Since 2007 she is a Post-Doc Researcher at University of Insubria within the research group of Prof. L. Pollegioni. Since June 2009 she works at Research Center “The Protein Factory”, Politecnico di Milano and University of Insubria: she is the responsible of the Core Lab at Politecnico di Milano, where proteins from any organism (from virus to human origin) are identified, produced and developed (by protein engineering) for several biotechnological applications. 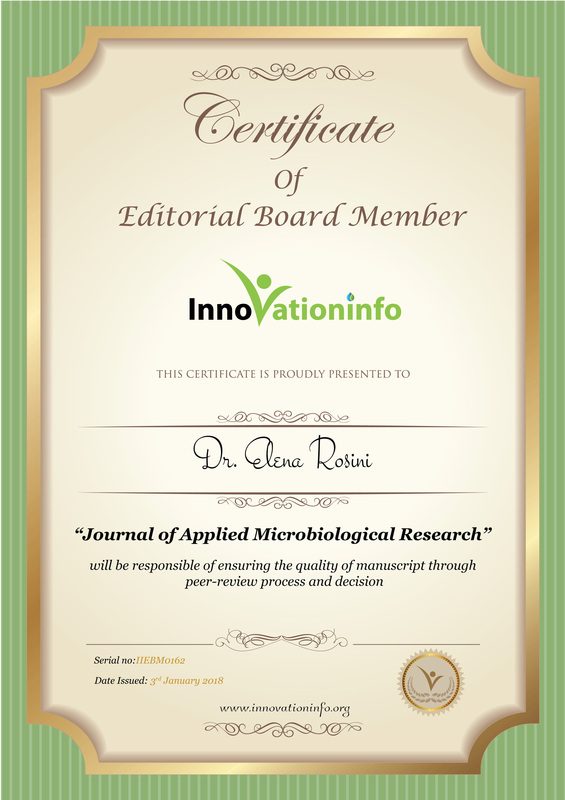 Elena Rosini is author of 33 scientific publications on International peer-review journals, of 5 invited publications on books and of 62 symposium proceedings. She gave a total of 8 oral communications to national and international meetings, and acts as reviewer for 12 international peer-review journals.